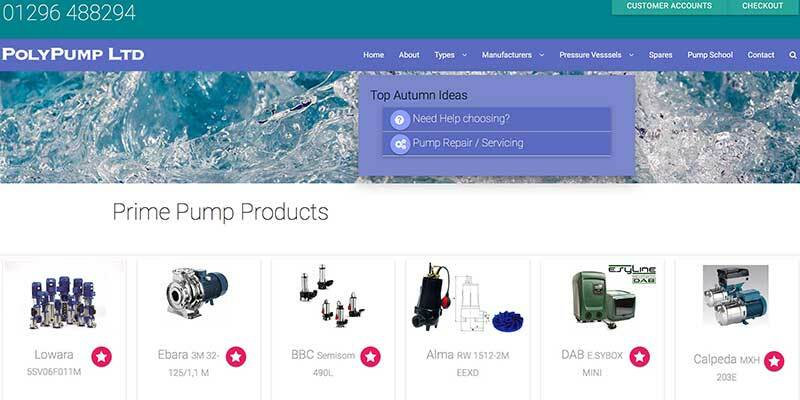 PolyPump is a distributor and servicing agent for major global industrial pump suppliers to the UK. 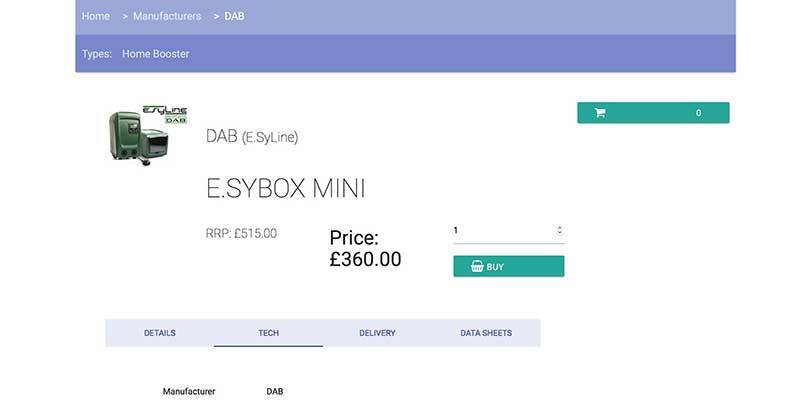 They have a huge product range (around 40,000 products) from 40+ suppliers and needed a mobile-enabled website that could be kept up to date with the minimum staffing input. Such a large number of suppliers means constant price and product range changes that would quickly overwhelm any labour-intensive systems. 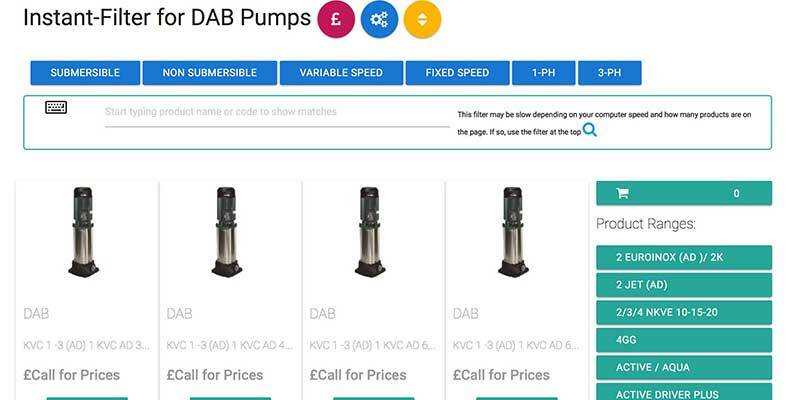 iCatching were able to show how a completely bespoke website and CMS would meet every one of their requirements and yet be cheaper to build and operate than any off the shelf alternative. Most people think a bespoke design is going to be more expensive and less able that software designed and marketed by large corporations but it isn't true. We can build websites with a lower development cost, lower running costs (no licensing fees) and save the client time and money by tuning the site to meet their needs with the minimum of effort. Unlike commercial eCommerce systems, expensive hosting accounts are not required to run our CMS. The site currently handles 40k product lines, 200k hits and 15GB of data per month without even blinking! 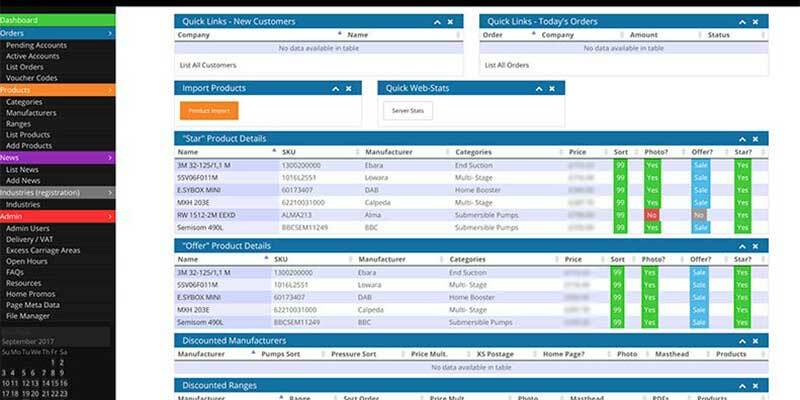 Our admin interface is intuitive, includes only sections that are relevant, and makes data entry fast and efficient. We think they're pleased with the results – "Its rare in business life where plans meet or even exceed expectations, this is that time. Lots of support from a company that knows its onions, highly recommended."